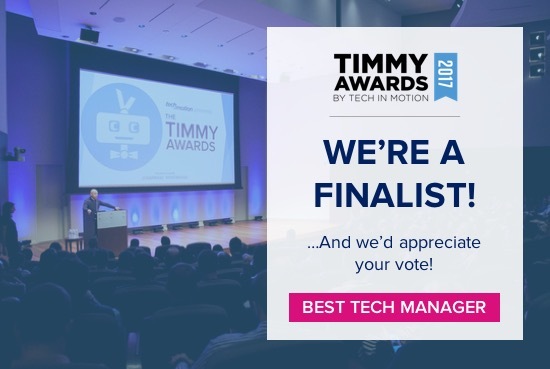 Presented by Tech in Motion, The Timmy Awards recognize the best in technology work culture, management, and startups in 10 regions across North America, including New York, San Francisco, and Toronto. Previous winners have included innovators such as Jet.com, LearnVest, Venmo, Trip Advisor, and Casper. The Best Tech Manager Award recognizes a leader who goes beyond requisite duties of a manager to empower their team through a clear and communicated vision. Chosen from a field of more than 100 nominees, Kurt has risen to be one of the 6 finalists for this category — we’re so proud of him! The winners will be chosen by a panel of expert judges and community votes. Since 50% of the final score comes from community voting, we need your support to help Kurt win the award! Please visit his finalist’s page and vote each day. You can vote by clicking the thumbs up on the page. You can vote multiple times in total (but one time per day) until September 8th. Kurt is a people-oriented leader who shows respect, empathy, and care to those who follow him. Being a great listener, he is down-to-earth and can easily empathize with employees at all levels. Kurt leads by example rather than through his title or position. He acts with integrity and keeps us in the know by being very transparent about the state of the business. He is also a forward-thinker who is open to accepting great ideas from everyone. Kurt has built a “Sharing Culture” that fosters openness, support, and collaboration, and promotes growth and success of employees. Since then, he has worked closely with Myha to make ShareThis a great place to work through ongoing HR strategies and company-wide initiatives. He holds the HR team accountable for hiring people who fit our culture — people who can work hard and play hard. Kurt hosts monthly all hand meetings in which he shares his vision for the company. He has an open door policy that invites employees to share ideas for improving our products and spends time with new hires to communicate his vision for the company to ensure that they will keep that in mind as they build new products. Kurt challenges ShareThis employees to set stretch goals for themselves and take risks but also allows them to make and learn from their mistakes. 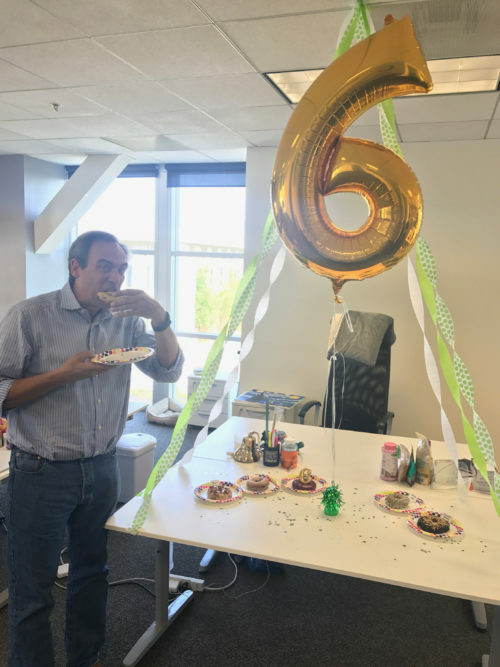 Since he became the CEO of ShareThis 6 years ago, Kurt has invested tremendously in promoting the personal and professional growth of our employees. He understands that empowering career growth for our employee is more than just on-the-job training. Kurt holds his executive team accountable for mentoring their people by ensuring that managers have regular career discussions with their team members to pave the path for career advancement. Kurt also pushes for implementation of Cross-Developmental Training. 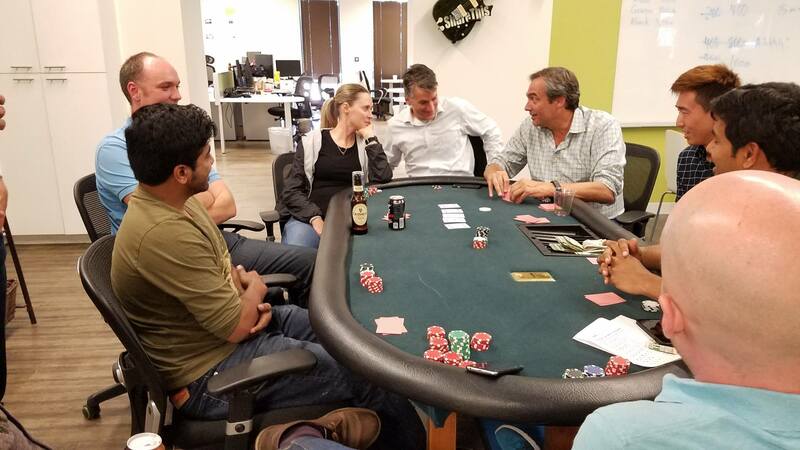 We have Hackathons, Engineering Demo Day, Weekly Friday Tech Knowledge Luncheons, and Department Knowledge Share Coffee meetings to socialize what other departments are doing. Kurt is an amazing role model to ShareThis employees. Thanks for being such a great leader to all of us for the amazing 6 years! Happy work anniversary, Kurt!